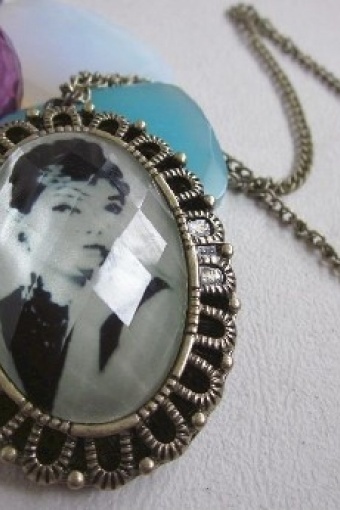 Lovely vintage style necklace Audrey Hepburn Breakfast at Tiffany's Cameo necklace From Paris with Love! 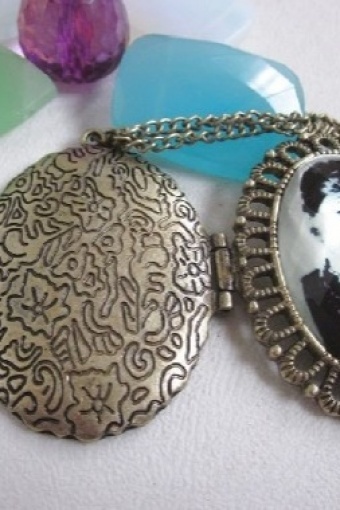 Oval shaped Audrey Hepburn Cameo, on gold tone metal. 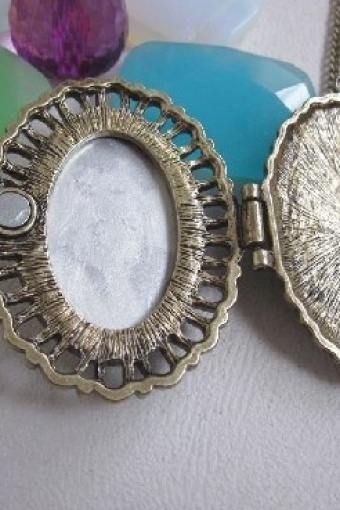 Cameo can be opened. Cute - birthday - present!